Creativity and insight are often found in the space between. 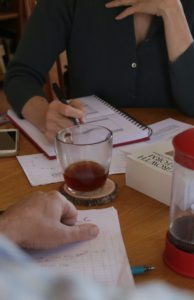 Two or more people sharing questions and insights are at the heart of the collaborative, creative processes that drive innovation and improved performance. Good conversation is also at the heart of our most satisfying life and work experiences. Conversation is a key leadership skill to be honored and developed. 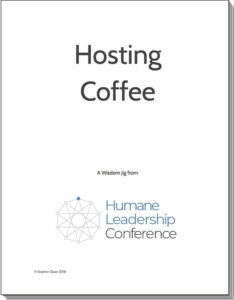 Click on the Hosting Coffee wisdom jig below to learn how to have aligning, creative, insightful conversations that support the business and organizational outcomes you desire.